Nobuhle Dlamini finally broke her duck on the Sunshine Ladies Tour with a wire-to-wire victory in the SuperSport Ladies Challenge at the Wild Coast Sun Country Club. The 27-year-old Swazi golfer closed with a final round two-over 72 to capture the R400 000 event, presented by Sun International, by one shot from Lora Assad on Friday. 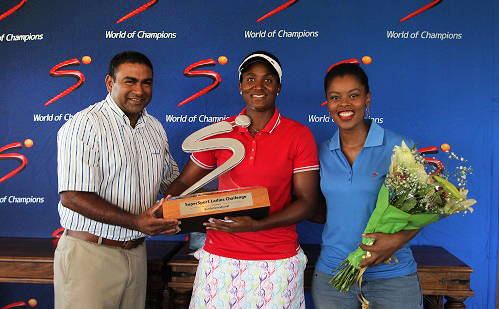 Dlamini was challenged by a number of players, including Assad, who posted four-under with her final round 69. 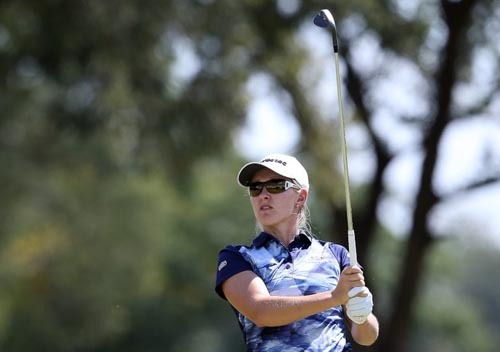 Port Shepstone professional Melissa Eaton was also in contention most of the way before signing off with a three-over 73 and third place on three-under. 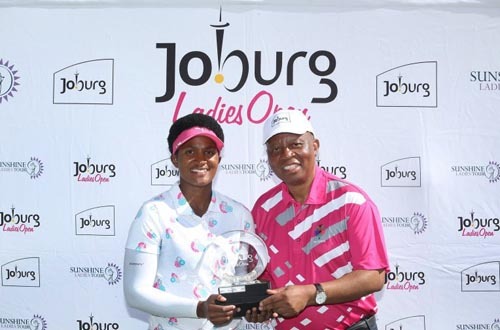 The significance of her triumph in the extremely windy conditions at the par 70 layout was not lost on Dlamini. Dlamini had knocked on the door plenty over the last four years in the pro ranks, but particularly this season. A fourth place finish at the Joburg Ladies Open in January and joint second at the SA Women’s Masters last week suggested the watershed moment was in her near future. On a windswept final day at the coastal oasis her hopes turned to reality. Dlamini has come under a lot of pressure to shake the bridesmaid tag, especially her performance at Modderfontein Golf Club. To finally go out and get the job done brought a great sense of relief. The Swazi golfer suspected scoring would be difficult in the testing conditions. Playing into the teeth of the wind at the par four 18th, Dlamini had no idea that Assad had bogeyed the closing hole. She carved her drive out to the right, chipped back into play but was still unable to reach the putting surface in three. Coming out the greenside bunker, she missed a 10-footer for bogey, but was able to glide in a knee-knocking three-footer to get her hands on the trophy and a paycheque of R56 000. “I was level on 17 where I saw the leaderboard, and I thought I had a two shot lead,” Dlamini said. Dlamini will take a boat-load of confidence into next week’s Investec South African Women’s Open at Westlake Golf Club and not only from lifting her first trophy. The victory catapulted her to second in the Investec Property Fund Order of Merit and she will start the Ladies European Tour co-sanctioned event less than 400 points behind Stacy Bregman, who remained at the top of the summit and moved to 1 710 points with a joint 24th place finish.